A sandy beach is last thing that crosses my mind when I think of England. Sure, I’ve heard about the famous Cornwall beaches, but living a five-hour drive away from them, they’re not exactly a day trip material. I thought Brighton and its pebbles is the only way to go for us Londoners, but boy was I wrong. It turns out Kent, an area in South East England, has quite a few gems in its pocket! 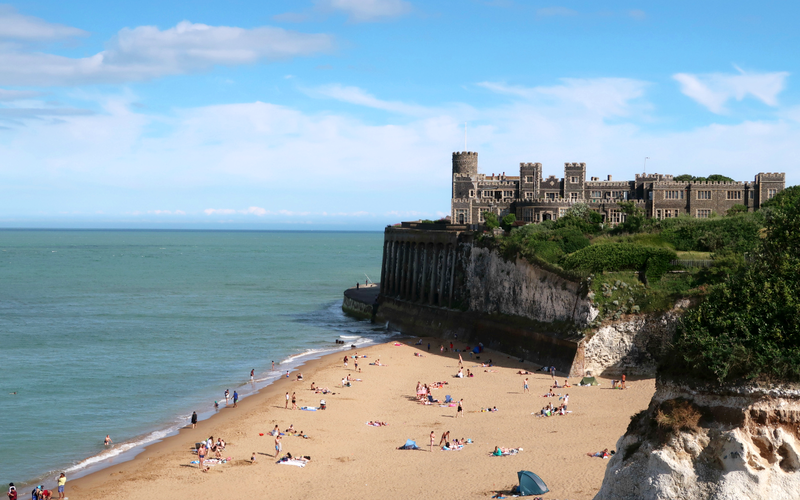 Margate, Ramsgate and Broadstairs are all reachable within two hours from the capital and are a home to dozens of beautiful sandy beaches. Last Sunday my housemate’s friends were kind enough to take me along to Broadstairs for a chill day of sunbathing, picnicing and general life loving. It’s been ages since I felt so relaxed. There’s nothing better than sitting by the ocean, soaking up the sun and burying your toes in the sand. At least not in my books. 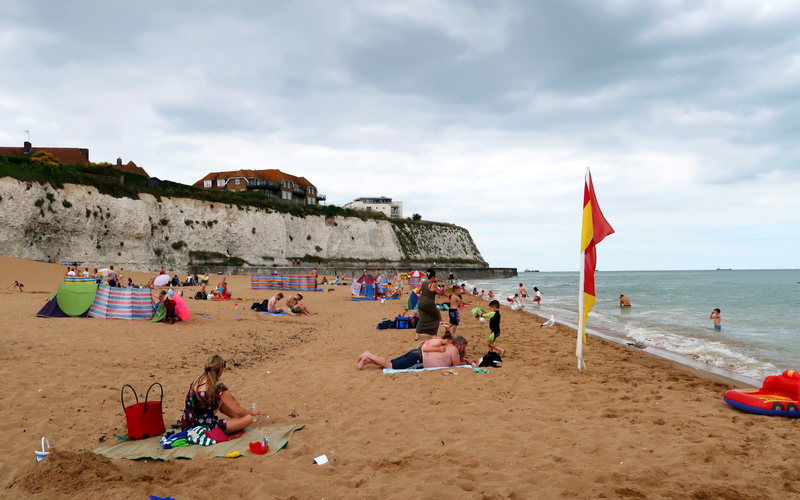 There was no swimming going on on my part – after all, this is still England and the ocean doesn’t have more than 16°C – but I did enjoy experiencing the British way of ‘beach life’. There were picnics, barbecues, tents and yes, even people swimming in the freezing ocean. Not what I’m used to from my previous beach breaks in Greece and Croatia, that’s for sure. I spent the majority of the day at Joss Bay, which was the largest and the most ‘convenient’ of the three beaches I visited. There were public toilets, free parking by the road and even a bar. I assume it must be quite popular amongs the locals, as there were lots of families there, but even though it was busy, we still managed to find our own spot without having others walking over us. Kingsgate Bay was our second stop. The beach looked really impressive from the top of the nearby road, but once we took a closer look, we decided to give it a miss and move on to the next one. You might like it if you’re looking for a quieter, less busy place or a beach that allows dogs, though. It is also known for its sea caves, which are supposed to be some of the best in the country, so if you’re brave enough to jump in the freezing cold sea and explore the cliffs, it might be right up your alley. Just note there’s no lifeguards on this beach, and the parking next to the nearby pub is not free (I think it’s 10 GBP for a day). Speaking of the pub, it has great views of the beach and the castle above, so do stop there for an amazing photo opportunity. 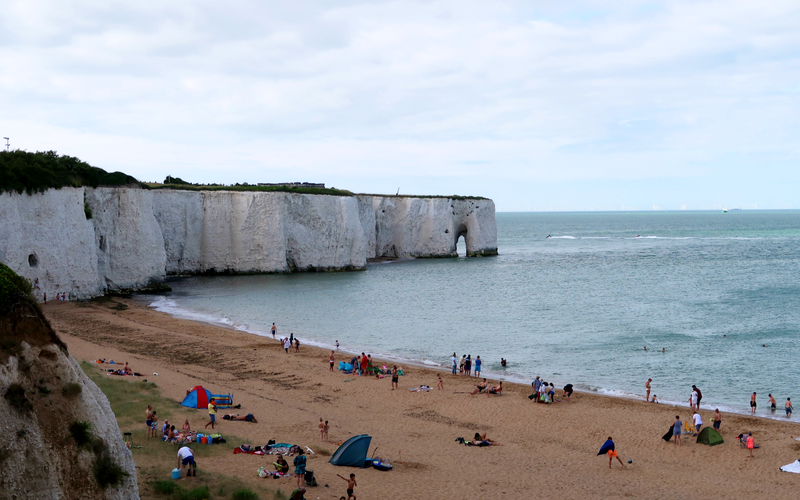 Botany Bay was the last place we visited. I do think you can park near the area, but we just ended up walking from the before mentioned pub. There’s a cute path with amazing views leading straight to the beach. I think it takes ten minutes tops to walk there, if you’re not like me, stopping every few seconds to take yet another shot. And by shot, I mean a photo. I’m not an alcoholic. Lol. Anyway, the beach was super busy when we arrived, so we ended up finding a spot right above the bay instead, on the grass, to catch the last sun rays before heading back home. However, we did take a look around beforehands, as the beach sports some awesome cliffs and stacks. For those of you wondering, there’s also a public toilet and a lifeguard. But no dogs allowed. 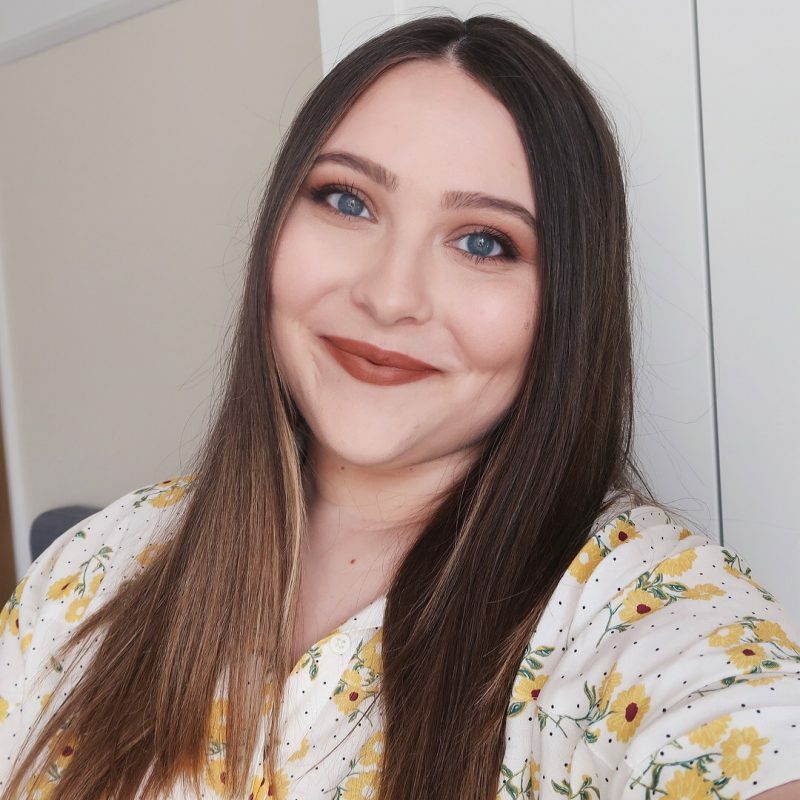 Do you guys know of any other stunning beaches or seaside towns near London? 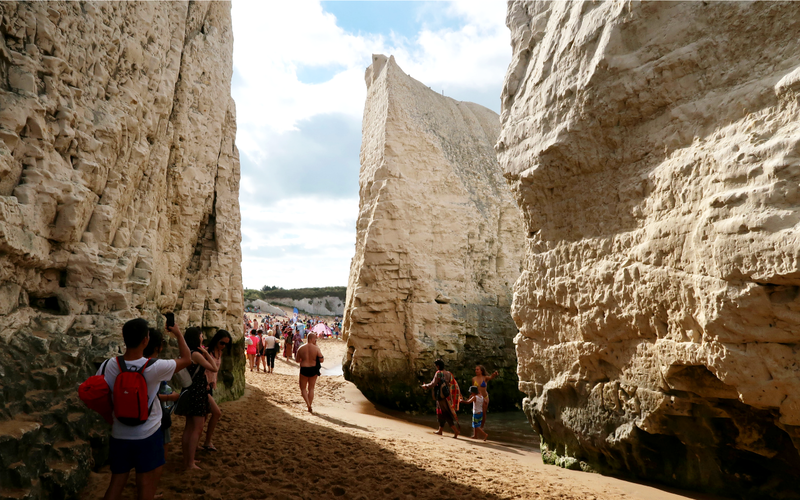 You missed out the next two beaches along towards Broadstairs – Stone Bay and Viking Bay. 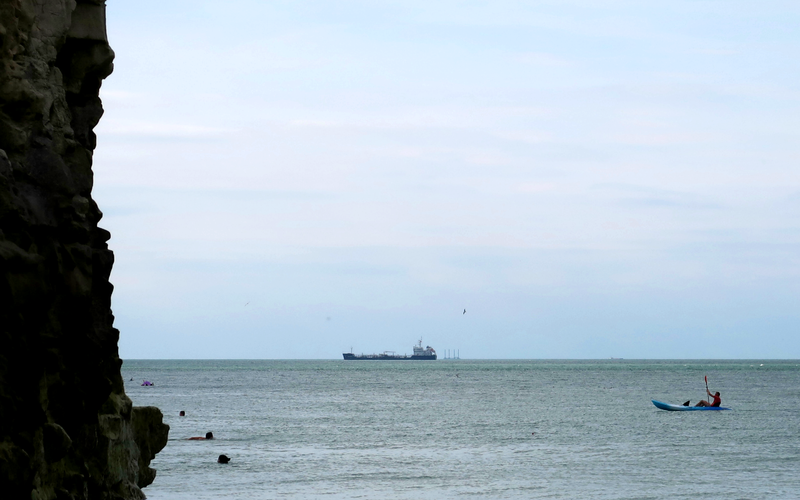 Viking Bay is the main Broadstairs beach – set in a bay with fishing boats at one end. It's quite busy at peak times – as are they all – but has lots of restaurants, cafes and bars – some, like the Royal Albion, Prezzo and Posilipo have a terrace overlooking the beautiful bay from the cliffs above. Posillipo's food is great. I'll need to go back at some point to visit those two as well. Viking Bay sounds great!